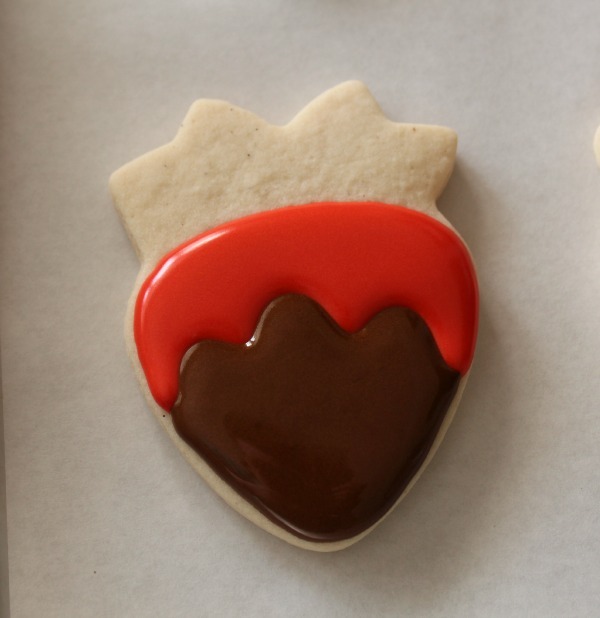 Not only are chocolate-covered strawberries one of my favorite treats, I also love making the cookie version. My strawberry cutter is actually an old Wilton model, but any strawberry cutter will do. 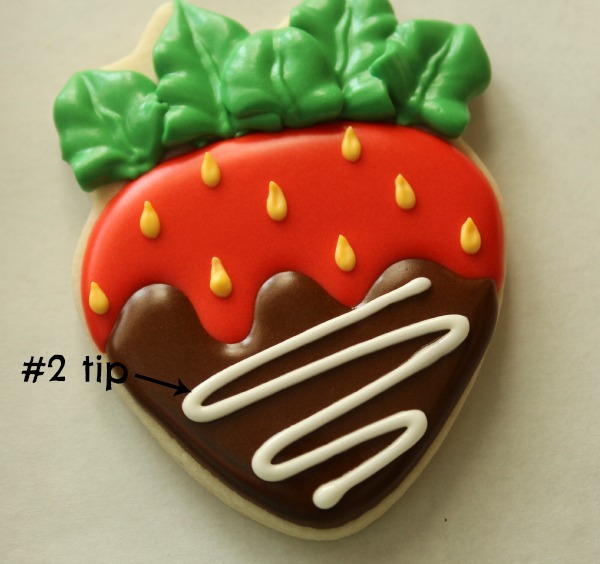 Begin by flooding the red portion of the strawberry as pictured below. Once the red is set use chocolate brown icing to fill the tip. After a bit of drying time use a #67 tip to add a stem. Use a smaller round tip to carefully add seeds. Finish up with an extra little “drizzle” of chocolate. These pretty cookies come together quickly and are always a hit. Perfection Callye! Love the addition of the white and dark chocolate. 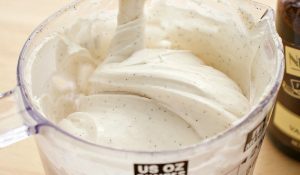 I love the swirl of white chocolate on top! It completes the cookie SO perfectly. I suddenly need to go to the grocery store. Great cookies! I too love strawberry cookies (strawberry anything). I will definetly make these! How precious!!! 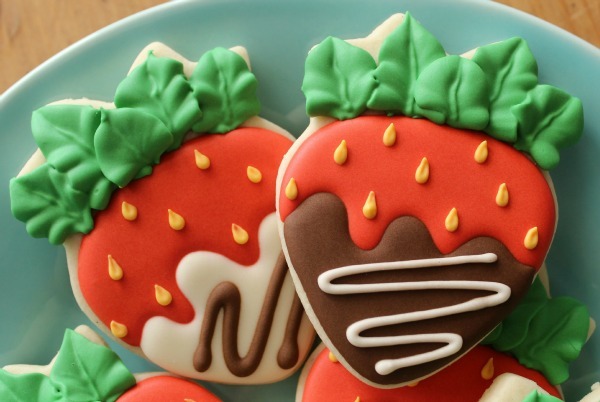 Love strawberries…and chocolate…so these are perfection!!! Oh my god. These are like the peak of adorableness! I want to live in your head for the day. Your creativity (and decorating skills) never fail to amaze me. So awesome! 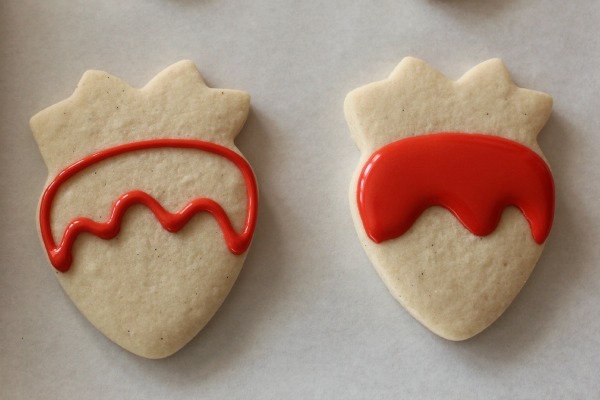 If anything could compete with the real thing, it would be these cookies! 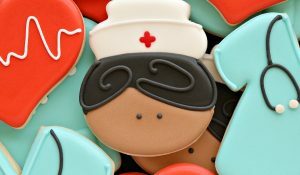 those cookies are so cool!! These look delish and I love how you did the leaves! Okay, I know the chocolate drizzle isn’t real, but it still makes the cookies look so decadent! I love the added texture of the leaves too. I gotta remember to try out using different decorating tips with my royal icing for added interest! P.S. Thanks for mentioning my tutorial for homemade fruit candy decorations. I feel like a celebrity! Yum! Love how easy you made these look! 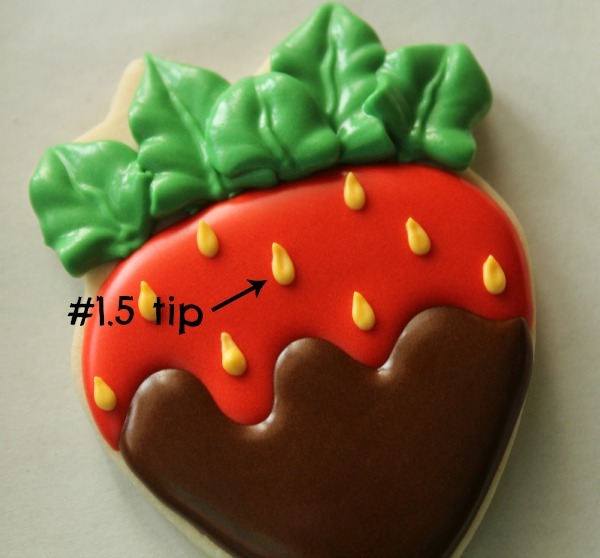 I first saw that strawberry cookie cutter at Bake@350 and I fell in love. I was going crazy looking for it and then, a few days ago, I found it on eBay!! Yes, it cost me more than what you probably paid for it Callye but I just had to have it. I love it and will make Bridget’s and your versions tomorrow!! I love strawberries! Especially when it’s a cookie. 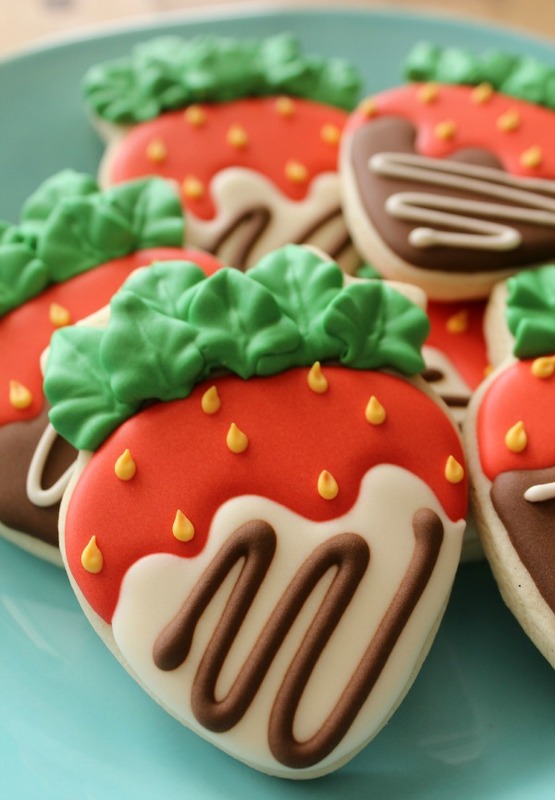 I just had a chocolate covered strawberry yesterday, and I’d like one of your cookies today, please:) So cute. Love all the details! Thanks for the link-love, Callye <3 I am always rather shocked, but happy, when I discover you have linked to one (or two:)) of my cookies. You made my day! you-and your cookies-always make me smile! love these! hey! i always loooove your blog because you share all the steps without worrying someone will steal your cookie knowledge! that’s cool! I know I’ve said this at least a million times but I never cease to be amazed by your eye for detail, everything you do looks like the real thing right down to the little seeds on a strawberry. These are awesome. So attractive and colorful that can easily attract attention. This might actually sell as people always get curious with new and interesting treats. So stinkin’ cute! It has been said, but thanks SOOO much fo sharing details so we can try our hand! I am such a novice, but it feels good when I can make something cute for friends! Thankyou, thankyou!!! 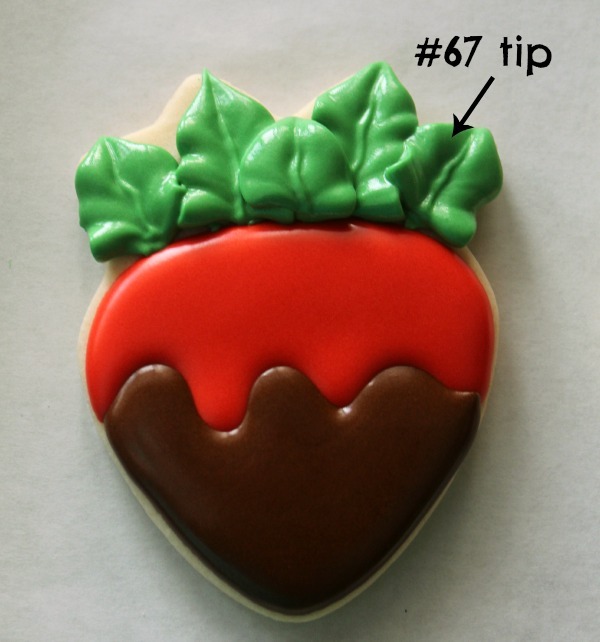 Pingback: Chocolate Covered Strawberry Cookies | Learn, Live, and Explore! Pingback: Berry Sweet Pickins: Strawberry Cake, Cupcake and Parties!